And what the hell are satsumas? And mandarins? And tangerines? It happens every year: Just as it starts to get cold and gray, the first clementines appear in stores, like neon vitamin-C packets from some higher power that knows we need them. Sour at first, they get sweeter and sweeter throughout the winter, hitting peak flavor during the darkest, worst days of the year. Clementines are one of the all-time great citrus fruits. But how much do we really know about them? To understand the clementine, we have to first understand the very strange citrus family. Here in the US, our most common citrus fruits are the orange, the lemon, the lime, and the grapefruit. There are three, possibly four, citrus fruits seen as the ancestors of all the others, and of those four common American fruits, exactly none of them are ancestors. The oldest citrus fruits we know about are the mandarin, the pomelo (sometimes spelled pummelo or some other variation), the citron, and maybe the papeda. The papeda is a Japanese fruit, bitter and sour, that’s the direct ancestor of fruits like the yuzu and the kaffir lime. The citron is a wrinkled, extremely bitter, basically juice-free fruit probably native to Southeast Asia but now most associated with the Middle East. The pomelo is still eaten; it resembles a giant, pale grapefruit, and tastes fairly similar to a grapefruit, but boasts a ridiculously thick peel. Many of our favorite citrus fruits, though, can be traced back to the mandarin: a squat, bright orange fruit, native to the tropics of East and Southeast Asia, with a thin skin and a juicy, sweet flesh. The clementine is a grandchild of the mandarin. Here’s its parentage: one of its parents is a sweet orange (a very ancient cross between a mandarin and a pomelo) and its other is a fruit with many names, including the willowleaf mandarin (a cross between a mandarin and a pomelo, mostly mandarin, that appeared in the Mediterranean in the first decades of the 1800s). 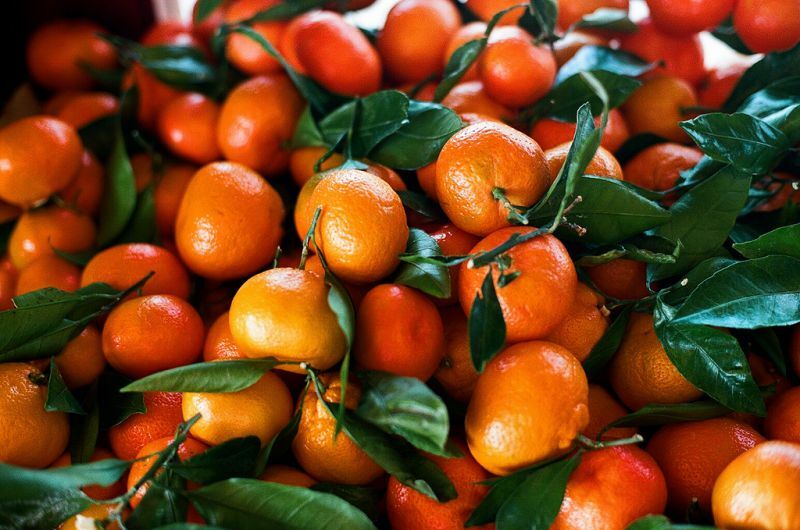 The clementine was first named in 1902 in Algeria; there are competing theories about where it comes from, but it’s likely that the competing theories are referring to similar but not identical mandarin offspring. The clementine quickly caught on; as a seedless, incredibly sweet, loose-skinned citrus, it was extremely marketable, and became commercially grown in California by 1914. You might be wondering, okay, but what exactly is a satsuma, then? The satsuma is the other major mandarin offspring; it’s grown more often in Florida, where it was introduced in the 1870s, rather than in California, which is where the clementine is prominent. 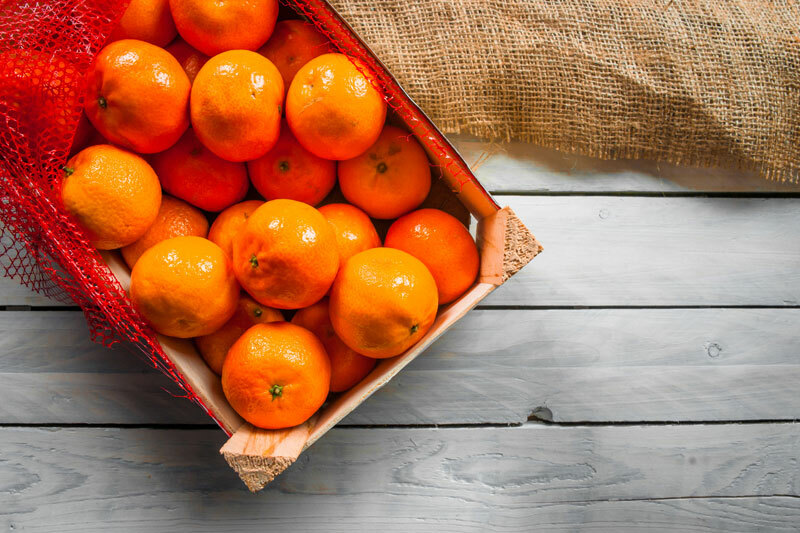 In general, the clementine is more popular in the US, while the satsuma is more popular elsewhere in the world, especially in the UK, where it’s a common Christmas gift. The satsuma is a bit harder to peel than the clementine and not quite as fragrant, but matures earlier (late September, as opposed to late October for the clementine) and can tolerate cold weather a bit better. It also often, but not always, comes with the leaves still attached, and is a bit squatter than the mostly round clementine. The tangerine, for what it’s worth, is an inexact categorization of reddish-fleshed mandarin offspring; it can refer to all kinds of fruits, though usually fruits marketed as tangerines are very sweet, thin- but not loose-skinned, and contains seeds. However! California’s extremely bad water situation can make the growing of anything, including citrus, a difficult endeavor. Earlier this year, the makers of Halo clementines (formerly known as Cuties) came under fire for using possibly contaminated water as irrigation. Wonderful Citrus, the parent company, contracted oil wastewater that could contain any number of chemical contaminants, and some experts opine that the testing is woefully inadequate to judge the citrus safe. In response, you could just eat a satsuma.